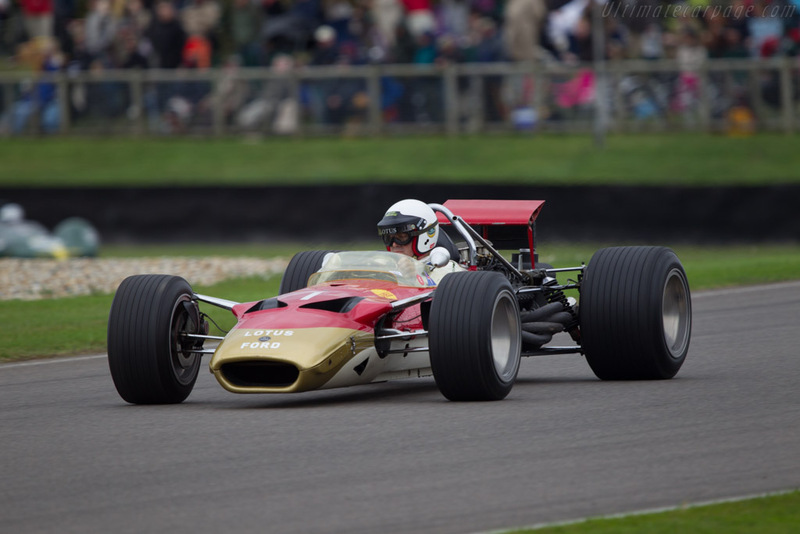 Completed late in 1968, this Lotus 49B was first raced in the 1969 Tasman series powered by a the 2.5-litre DFW V8. In this guise Jochen Rindt scored two victories in five attempts. Converted to Formula 1 specification, it was raced during the 1969 World Championship by Graham Hill with a victory in the Monaco Grand Prix as the absolute highlight. Pressed back into service in 1970 alongside the new Type 72, it was used by Emerson Fittipaldi in his Grand Prix debut at Brands Hatch. Retained by Classic Team Lotus, it is regularly raced and demonstrated with a wide variety of specifications. At a recent outing, it was fitted with the very helicopter blade used as an experimental rear wing during 1969 Tasman series. Das Amalgam-Modell besticht durch den detalreichen Motor sowie Fahrwerk. Alles in gewohnter sauberen Qualität ausgeführt und auf 99 Exenplare limitiert.